There are two types of branching that occur in trees and shrubs: alternate branching and opposite branching. With alternate branching, the side branches are staggered and alternate throughout the branch. On the other hand, the side branches that grow directly opposite of each other in trees and shrubs are considered opposite branching. There are far fewer trees with opposite branching, than those with alternate branching, so this can be a big clue to the identity of the tree if you're trying to figure out what kind it is. Opposite branching trees can have simple or compound leaves, and the latter is made of several individual leaflets. Simple leaves can have smooth or toothed outlines, like the Sugar Maple (smooth) or the Red or Silver Maple (toothed). A mnemonic device you can use, to remember which genera of trees and shrubs have opposite branching, is "MADCap Horse." Maple trees (Acer) are classified as Sapindaceae in the plant kingdom. There are over 100 species, mostly native to Asia. Many people decide to plant Maple trees due to their autumn colored leaves and maple syrup production. Ash trees (Fraxinus) are of the olive and lilac family, known as Oleaceae. There are about 65 species of medium and large trees. 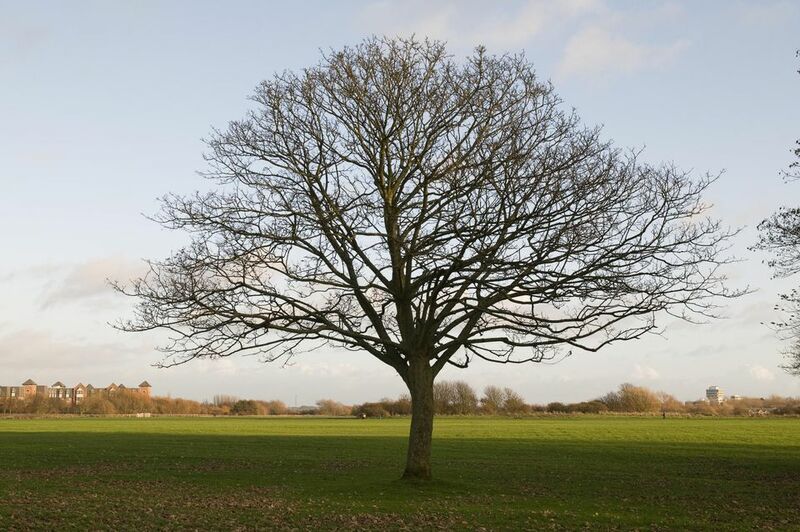 You can identify an ash tree by its leaflets, which has compound leaves of five to nine per leaf. There are variations of Ash trees, like Green Ash, Black Ash, and White Ash. Dogwood trees (Cornus) come to full blossom in the spring and are large fragrant blooms. They're considered the state flower of both North Carolina and Virginia and is even the state tree for Missouri. There are some small and colorful berries that grow on Dogwood trees, showing up in red, white, and blue colors. These are not edible; however, you'll find that many birds and small walks of wildlife will enjoy eating them. This consists mostly of shrubs and vines. Viburnums (which are sometimes classified now in the Adoxaceae family) and honeysuckles are familiar genera in this family. You will also find Weigela, Abelia, and Snowberry plants in this family, among several others. Most of the leaves are without stipules and are often evergreen and deciduous. You will find that many of the flowers are tubular, bell-like, and have outward spreading lobes. These plants are typically fragrant and carry a berry or drupe fruit. Members of the genus Aesculus include the horse chestnuts and buckeyes. This European plant is in the soapberry and lychee family, Sapindaceae, and is also known as the conker tree. Its population is, unfortunately, decreasing and has a near threatened conservation status. The distinctive and sweet-smelling flowers of this plant serve as the symbol of the city of Kiev, Ukraine, as horse chestnuts are plentiful there. There are other shrub species that have opposite branching, like burning bush (Euonymus alata), wintercreeper (Euonymus fortunei) and privets (Ligustrum spp. ).